It’s finally fall! 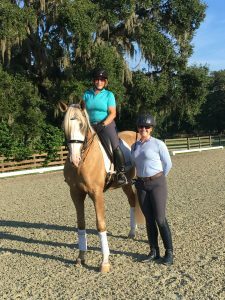 And we’re ringing in the season with some amazing educational opportunities, like clinics with Michael Barisone, a workshop on body clipping, and a fantastic panel on soundness in schoolmasters with US Dressage Team vet Dr. Cricket Russillo. Read all about ’em, plus some great show successes and some new faces around the barn, in our September e-newsletter. And make sure you sign up to receive it directly in your inbox!